Bristol is set to be one of the UK’s fastest-growing cities over the next three years, outpacing London and Birmingham, according to new research. With Gross Value Added (GVA) predicted of 2.3% – well above the national average of 1.8% – the city will be only slightly behind the growth rate of the top two of Reading and Manchester, both forecast to grow by 2.4% over the period. The analysis by accountancy firm EY puts London’s growth rate at 2.2%. Most of the top performers are expected to be in the South, although the economy of the South West as a whole will only expand by 1.7%, according to the report. It also reinforces the outlook that has emerged from other forecasts that cities will grow much faster than towns or rural areas. The region with the strongest growth over the next three years will the South East, according to EY, with a rate of 2%. However, employment in the South West shows a strong increase, with 54,000 more jobs having been created in June this year than in 2016. Looking ahead to 2020, total employment in the South West is expected to increase by 0.3% per year – just behind the UK average of 0.4%. The report says the success of Bristol – along with other high-growth Southern cities such as Reading and Cambridge – will be due to their economic make up, with high-growth industries such as the information & communications and professional services sectors, which are forecast to grow by 3.5% and 3.4% a year, respectively, over the next three years. In contrast, manufacturing is only expected to grow by 1% over the same period. The forecast says there has been little progress on geographical rebalancing of the UK’s economy in the past three years and the economic divide between the North and South will continue to expand – at a slower rate than previously – leading up to 2020. 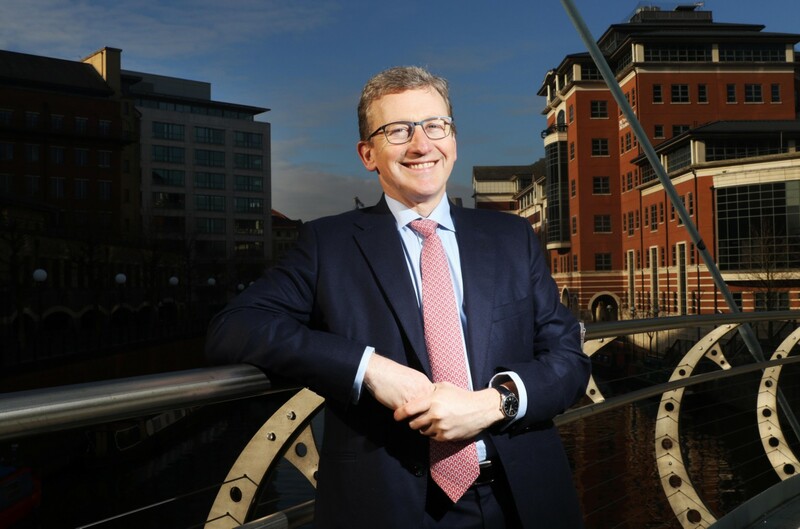 While Manchester’s growth will be based on strong performances in its professional, scientific and technical, administrative and support services and construction sectors, the North East is forecast to experience the slowest rate of GVA growth between 2017 and 2020, growing at 1.2% per year. It is also the only region where employment is expected to decline, falling by 0.1% per year between 2017 and 2020, with the largest declines projected in the manufacturing and public administration sectors. Andrew Perkins added: “The UK has made little progress on regional rebalancing over the past three years, and we expect more of the same leading up to 2020. In fact, we expect that some of the fastest-growing regions over the next three years will be the four most southerly ones, London, the South East, the South West and the East. This means that the economic gap between North and South could be larger in 2020 than it was in 2010. “The government’s recently published proposals for the UK’s industrial strategy are a welcome development and demonstrate how sectors will be key drivers of both productivity and the economy as a whole. The focus on manufacturing will help support many regions and cities that are located outside of the South East, including the South West. The forecasts presented in the report are produced using the Oxford Economics local authority district forecasting model.